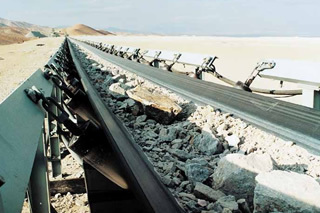 Bando Steel Cord Conveyor Belts | Conveyor Belts | Products | Bando Chemical Industries, Ltd.
Conveyance of crushed rock, aggregate, sand, limestone, ore, etc. 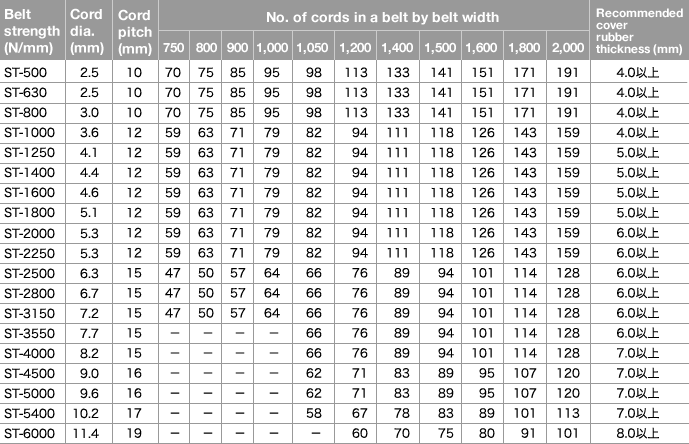 For other belt specifications than those in the above table, please contact us. The cover rubber thicknesses in the table are recommended minimum thicknesses. For an optimum cover rubber thickness setting, please consult with us.